i didnt do yet as you said yesterday scawen. but i thought it check out if it did it again. and it did. and this time i got a screenie of it. if cars temporarely loads the car models only. could that be the reason sometimes the cars doesnt load proper , maybe going into loop with that load process? because otherwise i cant explain why his car is looking like this, but when he hit the brakes and lights ofc light up, then it loaded the car proper. "from the desert version obviously"
without being offline. its now loaded proper and looks like this normally. dont mind the textures. testing stuff. however it should not affect the cars models as i understand it. Last edited by THE WIZARD DK, Mon, 9 Jul 2018 07:09 . That's the result of the special code which reduces the pit-out glitch. 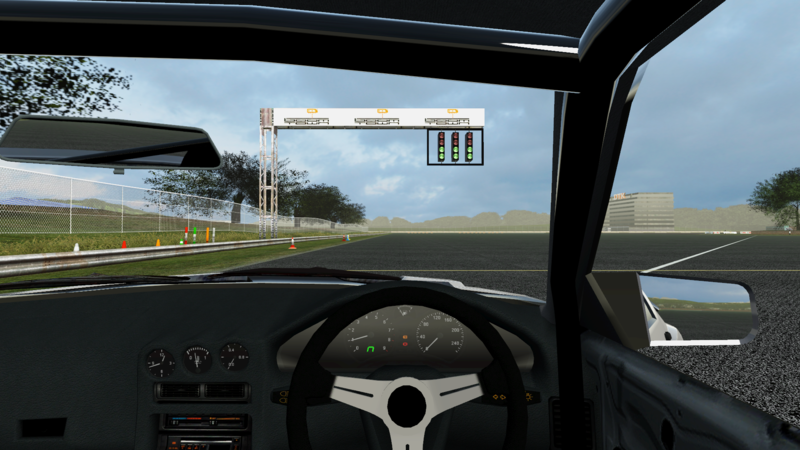 It deliberately avoids loading the textures of the car of a player who joins while you are driving, because doing so can cause a glitch. 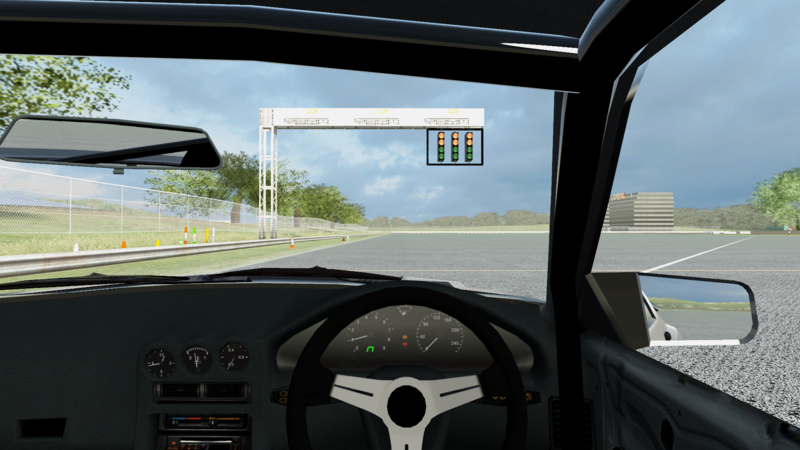 Then when you stop your car or the race restarts, those textures are loaded. Couldn't you load them in another thread or load them one after another, instead of loading them all in one frame? I suppose so but just to be clear this was done more than 10 years ago, it's nothing new, so I'm not regarding it as a priority for now. Scawen, have you considered adding hashing of the skins directories to work around the slow directory access issue? The texture issue above is not that it hasn't loaded the user's skin, it hasn't loaded the car's base textures either. If that also glitches, maybe they can be pre-loaded as there are less of them than user skins. Are any InSim connection issues known? The Insim connection (through LFS World > Racers & Hosts online > Insim Relay) to my dedicated server still failed. But if I try a tool outside it reports that my Insim port is open. Perhaps an issue on LFS World side? The firewall rule isn't limited to a specified IP. Everyone can connect to the Insim port. Hm yeah, the problem is that we've locked down the server the relay ran on. Port 47474 is open for the outside to connect to, but the relay is not allowed to make outgoing connections to random ports (the hosts). This is due to us locking traffic down upstream, on a switch and not a firewall. And the switch isn't stateful, so it's not capable of discerning between incoming and outgoing connections / traffic. Because of that, I've moved the relay to another server with some more networking freedom. The relay is now connecting to all hosts again and you can use it if you connect [your app] to isrelay.lfs.net . BUT this brings another problem ... the LFS Remote apparently was coded to connect to "lfs.net" and not "isrelay.lfs.net". So now it's trying to connect to the wrong thing. On top of that I seem to have displaced the source code for the LFS Remote ... so now there is no way of fixing it. Sooooo ... I guess the need for a HTML5 remote is really there now. Last edited by Victor, Tue, 10 Jul 2018 18:29 . Can we PLEASE have an option for the old editor back. Of course not. There is no way on earth we would drop the far improved editor to go back to the old fatally flawed one. Please try to understand how to use the updated editor. It does everything the old one did and quite a lot more. thanks for the review - for me that's OK.
Last edited by Pasci, Tue, 10 Jul 2018 20:30 . There is a working prototype on git, https://github.com/VictorVanV/HtmlRemote Maybe we could find somebody to help out Vic with some code. edit: Ah I just noticed you posted in the old thread too, so I guess you knew about this already. How do I get the shaders to work like they used to again...This gets annoying having to fix the game for myself with every update, seriously. I removed the img tags in your post as they forced every visitor to this page to download huge image files. For some reason your attachment has disappeared in the process, which I did not intend. Maybe a forum bug? Anyway, obviously we provide patches and updates with working shaders. If you use modified shaders maybe you should keep the originals backed up so if there is a change you can install a working set until your custom shader developer updates his or her shaders. We are going to update the shaders sometimes, it's part of the development process. I have encountered a graphics glitch on my computer. Its not an issue for me as I'm not playing LFS. It happens when I switch to full screen (SHIFT+F4) only. It starts like 5 seconds after that. Sold my GPU, now on IGP. That seems very unusual! I think it looks as if the unfinished image is being presented as a completed frame. Somehow I feel it's a driver fault. I suppose we'll wait and see if anyone else gets this. Random thought: Is it the same if vertical sync is enabled / disabled? Quote from DANIEL-CRO : I have encountered a graphics glitch on my computer. That looks like a hardware/driver issue. I had similar happen alongside with a few other issues before I reformatted my pc a few weeks ago. I don't know what causes it as I don't know how to recreate it, but deleting all traces of old gfx card drivers and reinstalling them may help. Try switching to other graphic card (Litteraly any will work) and see if the problem is still there. It is fine when I use VSYNC or AA. sweet looks good from what i have read so I'm gonna test it out now. I have problems in saving the changes made to the setups ever since I updated to 0.6T. The changes made are not shown when leaving the pits or checking the setup again despite showing "Saved setup" message. It is only affecting the setups I downloaded after the update. Old setups work fine, the changes made to them are saved. I made fresh installs and on different partitions and the problem still persists. Also when I try to delete those setups, it shows "The setup could not be deleted". Last edited by redbot_, Fri, 13 Jul 2018 14:34 . Quote from redbot_ : "The setup could not be deleted". Are they set to be read only files for some reason? I just checked and they are indeed set as read only files. This only happens to the setups downloaded from online, and opened with lfs to automatically copy to setups folder. When I create new setup in-game, there is no problem. Last edited by redbot_, Fri, 13 Jul 2018 15:41 . It was this setup: https://www.lfs.net/files/setups/21249/XRR-AS5-scipy-spr - just downloaded again and in properties it is indeed marked as read only. Downloaded randomly few other and everyone is marked read only. To be more clear, for me the files that are getting from lfs.net is normal. It only becomes read-only when it is opened with LFS to be copied automatically to setup folder. If I copy the setup manually to the data/setups folder it stays as normal.